JAKE Hyde’s last minute tap-in denied Whites a fourth consecutive league home win at a wet and windy Crabble on Saturday. The striker pounced at the death to tap in sub Adrian Clifton’s knock down following Rene Steer’s run and cross. 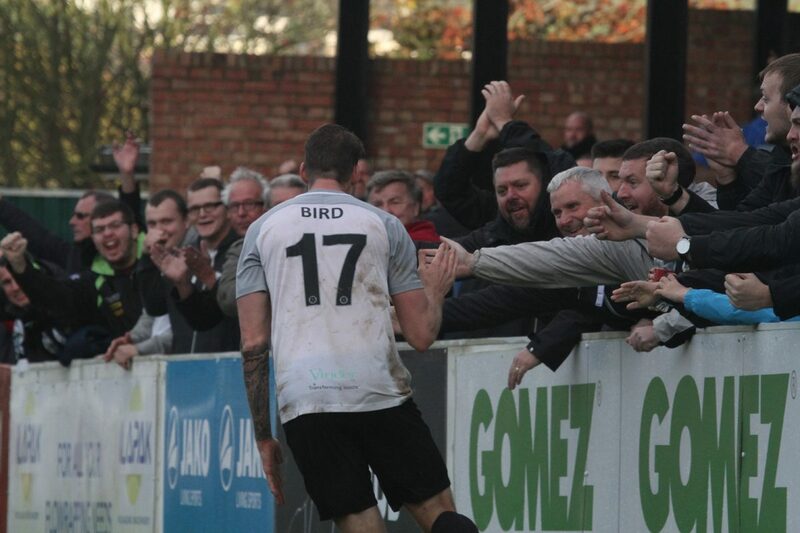 Ryan Bird’s header seemed to have secured the win for Chris Kinnear’s side. 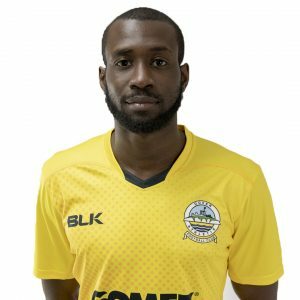 The striker headed sub Kadell Daniel’s deep cross back across visiting keeper Carl Pentney and into the net via the post. 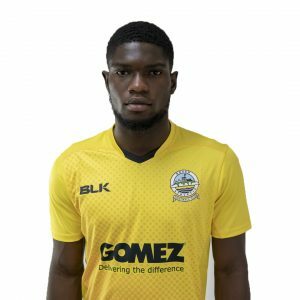 Moses Emmanuel fired over a volley from close-range and Dean Inman had the game’s first shot on target, heading a long throw straight at Dover keeper Mitch Walker. The home stopper was then quick off his line to grab the ball from Emmanuel after Hyde’s cross deflected into the striker’s path. Mitch Brundle tricked past his marker, but his low curling effort was comfortably held by Pentney. Dover’s skipper then let fly from twenty-yards, this time narrowly missing the post. Walker beat away Alan Massey’s tight drive and Hyde blazed wide after following up on Inman’s initial shot, which deflected into his path. Mitch Pinnock’s low goalbound drive was cleared away by Massey and Manny Parry nodded a corner from the winger wide shortly after. Jake Goodman’s turn and shot seemed to catch Walker off-guard, with the ball striking the bar and bouncing over much to the relief of the Whites keeper. Bird opened the scoring and Dover had further opportunities to seal victory. Daniel struck the outside of the post with a vicious twenty-five yard drive and Paul Lewis aimed too high with a shot from outside the box. Bird fired into the side-netting and then flicked Daniel’s pass the wrong side of the post with Pentney beaten. But Hyde had the final say with the last kick of the game following a scramble in the box. Earlier, boss Kinnear made three changes to the side that started at Bromley on Tuesday night. James Alabi made his debut having signed on-loan from Tranmere Rovers, with Loui Fazakerley and Lewis also starting. Nortey Nortey and Daniel started as substitutes, with Giancarlo Gallifuoco missed out though injury. Dover: Walker, Fazakerley, Essam, Parry, Passley, Brundle(c), Lewis, Ilesanmi, Pinnock (Daniel 71), Bird, Alabi (Richards 87). Subs not used: Okosieme, Nortey, Deen-Conteh. Maidenhead: Pentney, Massey(c), Inman, Goodman, Peters (Kilman 33), Odametey (Upward 78), Smith, Pritchard, Steer, Emmanuel (Clifton 71), Hyde. Subs not used: Barratt, Mulley.